buffalosabresnow: And then there were two. Sabres/Justin Bailey agree to deal. And then there were two. Sabres/Justin Bailey agree to deal. It certainly makes sense that the two remaining Buffalo RFA's--Sam Reinhart and C.J. Smith involve deals that are more difficult to hammer out than putting ink to paper on qualifying offer numbers. Sabres GM Jason Botterill signed C, Sean Malone late last week and on Sunday morning the team announced that forwards Nicholas Baptiste and Danny O'Regan signed as well. Less than six hours later winger Justin Bailey was signed to a one-year, deal. All of their AHL salaries are listed at $70,000 according to CapFreindly. It's a sink or swim year for Bailey, whether it's in Buffalo or somewhere else as the Sabres are loaded with forwards and not enough room for all of them on the big club. The 23 yr. old powerforward has an intriguing size/skating package and although his skills seem somewhat limited at this time, the 6'3" 214 lb. winger has enough to draw interest should the Sabres waive him at any point. Bailey was drafted in the second round (52nd-overall) of the 2013 NHL Draft by then GM Darcy Regier. He's one of those players who's on his third GM and a revolving door of coaches at both the NHL and AHL level. He showed plenty of promise in the OHL putting up career numbers in his final season split between the Kitchener Rangers and Sault Ste. Marie Greyhounds. He turned pro for the 2015-16 season putting up a very solid stat-line of 45 points (20+15) in 70 games for the Rochester Americans and also got a taste of the NHL with eight games played for the Sabres, but failing to hit the scoresheet. In 2016-17 Bailey appeared in 32 games for the Sabres and only scored two goals and two assists. Last season he scored three goals and added an assist in 12 NHL games which shows some progress. 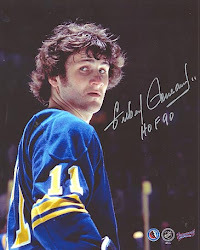 The right-handed Bailey was drafted as a right-winger but has spent the majority of his pro career playing his off wing as Buffalo is severely lacking left wingers. This may or may not have affected his play but regardless of what side he plays on inconsistency is killing whatever hopes he has of sticking with the big club. Bailey is like many we've seen over the years in that he'll look great for a couple of game, and in the process living up to every positive thing written about him, but fade to the point where he was sent back to Rochester. This season, however if he doesn't stick with Buffalo and he gets sent down, he probably won't clear waivers and he'll be playing for another team. 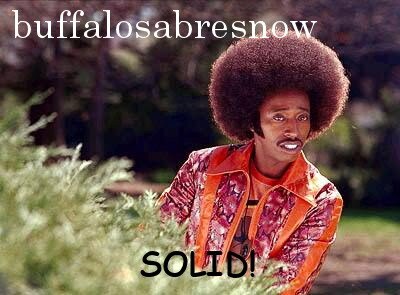 The Sabres are loaded with players at this point of the off season. They have 12 NHL forwards right now not including Bailey or Baptiste and minus Reinhart as well. They have seven NHL defensemen which doesn't include Casey Nelson who would need to clear waivers and Brendan Guhle who many see as making a strong push to be on the opening night rosters, but is waivers-exempt. Also something to keep an eye on is the number of pro contracts Buffalo has. After the Sabres sign Reinhart and Smith they'll have used up 49 of the 50 standard player contracts allowed by the NHL. Something's got to give as that's not a lot of wiggle room heading into the season. That's something to worry about some other day as Botterill now shifts his focus to Reinhart and Smith. With Reinhart's contract being a more difficult to negotiate, we may see Smith singed sometime soon followed by a Reinhart deal at a later date.